Here we are, three and a half years after its initial release, and Diablo 3 is still going strong. Just prior to all the excitement that was BlizzCon 2015, some patch notes hit the Diablo website for what's in store for patch version 2.4. One of the bigger items on the list is a new area, Greyhollow Island, that will be accessible in Adventure Mode. The last patch saw the addition of a new area that lead to a specific treasure, the game-changing Kanai's Cube. This time around, the new area(s) are intended to be places to explore. 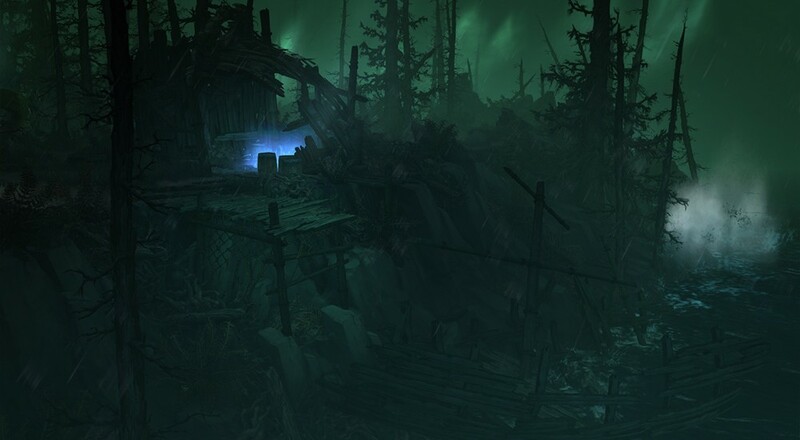 In addition to the Greyhollow Island, there are plans to include Set Dungeons - special areas that are only accessible once you complete a class-specific armor set - that will require heroes to seek them out and put their new set to the test, and to expand upon existing areas with the Eternal Woods and Royal Quarters. These areas will be accessible via Adventure Mode and offer new bounties and events to liven things up a bit. The full details of what's being done in 2.4. including a revamping of some armor sets and new legendary items, are up on the Diablo site, if you want to see what else is being planned. It should be noted that all of these features are just part of the preview that will hit their Public Test Realm first, and then could be subject to change once testing is done. In Diablo 3, Monsters Co-Op Against You! Page created in 0.2421 seconds.